Will I Lose My Home During Chapter 13 Bankruptcy Proceedings? Filing for bankruptcy can be a frightening time, especially when you and your family’s home is at risk. Thankfully, there are options for you, and it is possible to prevent a pending foreclosure when you file for a Chapter 13 bankruptcy. It’s natural to panic when you start getting behind on mortgage payments or can’t keep up, but this solution was created to help you maintain ownership of your place of residency. An automatic stay granted by the courts when filing a Chapter 13 bankruptcy can help you remain in your home even if you have unpaid or late mortgage payments. When you file for Chapter 13 bankruptcy, usually you can keep your property. You will need to agree on paying all or a portion of your debts over a period of time. This repayment plan can help you save your home because it allows you to pay off previous unpaid or late mortgage payments over the repayment period. Generally, an individual’s repayment plan spans around three to five years. You’ll need to maintain an income high enough to meet your monthly expenses as well as the payments on your plan. If you are able to maintain your payments, then you can successfully avoid foreclosure and save your home. It’s possible that a Chapter 13 bankruptcy can also help eliminate any second mortgages you have on your home. The moment you file for Chapter 13 bankruptcy, your rights are protected through an automatic stay. 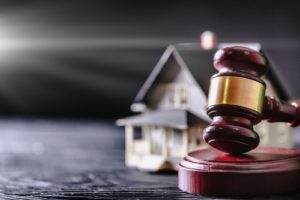 This automatic stay provides that all foreclosure proceedings immediately halt until after the court makes a ruling on your bankruptcy petition. Creating a balanced and achievable financial plan for paying off your Chapter 13 bankruptcy debts is possible, and you don’t need to worry about losing your home through this stressful period. Contact knowledgeable bankruptcy attorney Joel R. Spivack at 856-488-1200 or via our online contact form to learn more about your options.